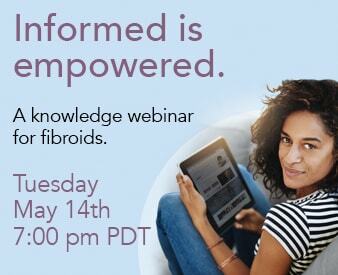 Share the post "Affect of Fibroids on the Organs of the Pelvis"
Read up on how fibroids can affect your excretory system. Can an enlarged uterus affect your bowel and kidneys and should it be removed if you are 46 and no signs of menopause yet? It is very possible for large fibroids to put pressure on organs in the pelvis. At times, large fibroids that put pressure on the bladder can cause a woman to experience frequent urination. As a result, when using the restroom the individual may pass only small amounts of urine and may feel as though she has not completely emptied her bladder. Additionally, pressure caused by fibroids on the bowel system may cause constipation as the increased pressure may slow the movement of the bowels. Also, you stated that you are deciding whether to remove your fibroids. This decision is a personal one and only you can come to this answer. However, if you are experiencing discomforting symptoms, you may want to look into embolization as a plausible method of fibroid treatment. The embolization procedure can be effective for women of all ages and there are many advantages to choosing this less invasive fibroid treatment.